The collision of punk rock and heavy metal with horror movies and sci-fi has resulted in some of the greatest bands of all time. Chief among them are The Misfits, who www.mmdst.combined a fascination with b-movies, pre-code horror www.mmdst.comics, and Famous Monsters of Filmland with aggressive but incessantly catchy punk rock into an iconic blend that influenced everyone from Metallica to Rob Zombie to Black Veil Brides. Here, we'll take a look at 10 movies that inspired the Misfits. When the band formed in Lodi, New Jersey in the famous punk year of 1977, the moniker they chose was the name of a 1961 movie starring Marilyn Monroe, the screen princess who also inspired the first solo single from singer and songwriter Glenn Danzig, "Who Killed Marilyn?" 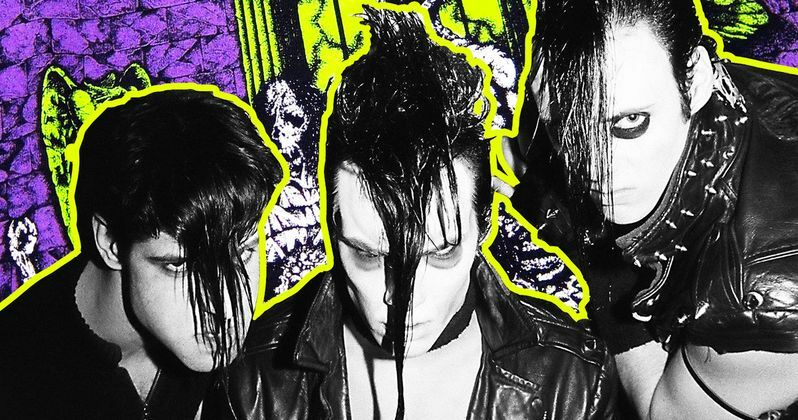 The Misfits disintegrated in 1983, with Glenn moving on to the similarly legendary Samhain and Danzig. Original bassist Jerry Only revived the Misfits in 1995, with an abundance of songs drawn from old movies and books. But for this video, we're concentrating on The Original Misfits, which is also the name Glenn and Jerry chose when they finally reunited in 2016. Static Age, the Misfits original debut album wasn't released in its entirety until long after they'd broken up, which makes 1982's Walk Among Us their official debut. Side B cut "Astro Zombies" takes it's name from the low-budget 1968 movie The Astro-Zombies. The lyrics are sung from the point of view of the movie's mad scientist, who was played by late character actor John Carradine. The movie is also memorable for its inclusion of the Japanese born Tura Satana, from Faster, Pussycat! Kill! Kill!. The Misfits' "Astro Zombies" has been covered by My Chemical Romance, Pennywise, The Ataris, and the band fronted by ex-Misfits guitarist Bobby Steele, The Undead. Herschell Gordon Lewis directed, shot, and scored what was arguably the first splatter film ever made, Blood Feast. Ritual sacrifice, cannibalism, and murder are all on the menu in Blood Feast, which was made in 1963 for less than $25,000 but went on to gross $4 million. 'Though Danzig has said he originally intended "Bloodfeast" as a song for Samhain, he ended up including it on the Misfits' second and final LP. The Brain Eaters is an independently financed black and white sci-fi horror b-movie released in 1958 and often paired with similar fare as a double feature. Roger Corman was one of the film's producers and future Mr. Spock actor Leonard Nimoy had a small role. "Braineaters," the song, appeared on The Misfits Walk Among Us. Distributed in Hammer Films native UK as Fanatic and later retitled for America, Die, Die My Daring features memorable turns from Tallulah Bankhead, Stefanie Powers, and Donald Sutherland. However, the cover artwork from the Misfits 1984 single isn't from the 1965 film. It's actually an image lifted and repurposed from an old horror www.mmdst.comic, Chamber of Chills issue 19. One of the band's best-known songs, "Die, Die My Darling" is one of many Misfits tunes covered by Metallica over the years. "Green Hell" was one of the first Misfits songs covered by Metallica, who were introduced to the New Jersey punk band's music by bassist Cliff Burton, who had the Misfits fiend skull tattooed on his shoulder. "Green Hell" most likely isn't named after the 1940 jungle adventure. No, 1957's sci-fi B movie Monster from Green Hell is more up the Misfits alley, with its drive-in theater ready monsters vs. the military. The Misfits didn't name a song after this 1977 Wes Craven horror classic, but the title is right there in the song "Earth A.D.," which has been covered by vegan straight edge stalwarts Earth Crisis and Swedish black metallers Marduk. A six-degrees of separation game with The Hills Have Eyes actor Michael Berryman and music is pretty easy. In the '80s, he was in two different Motley Crue videos. In the 90s, he played the Skull Cowboy in the rock heavy www.mmdst.comic book movie The Crow, 'though his scenes were left unwww.mmdst.completed following the tragic on-set death of Brandon Lee. Released overseas as The City of the Dead, Horror Hotel (as it was called in America) starred screen legend Christopher Lee, best known to modern audiences as the evil wizard from the Lord of the Rings and Hobbit movies and Sith Lord Count Dooku. Lee of course made many classic horror flicks, including his multiple turns as Count Dracula for Hammer Films. He also made music. The witchcraft tale Horror Hotel was filmed in the UK but set in America. It wasn't released in the US until 1963, three years after its UK run, with a bunch of its references to Lucifer censored out. Since the Misfits released "Horror Hotel," clips and dialogue from the movie have shown up in work by Iron Maiden, King Diamond, Rob Zombie, and In This Moment. The late great George A. Romero unwittingly revolutionized and redefined what we now call "zombies" with his 1968 indie debut Night of the Living Dead, directed, shot, edited and co-written by the filmmaker, who later made several sequels. The Misfits' "Night of the Living Dead" single was issued on Halloween, 1979, with "Where Eagles Dare" and a cover of Allan Sherman's "Rat Fink" on the b-side. The Misfits never hid their affinity for b-movies, horror, splatter, exploitation, and sci-fi. For a single song example, look no further than "Return of the Fly," which says, "Return of the Fly with Vincent Price" in the actual lyrics, in case there was any doubt as to whether this song was based on the 1959 movie starring the screen icon. Hollywood exploitation movie master Ed Wood wrote, directed, and produced Night of the Ghouls, which featured the legendary Tor Johnson, in 1957. 'Though it was previewed in a 1960 issue of Famous Monsters of Filmland, the film was considered "lost" for many years, as there weren't enough funds available for postproduction. It finally came out in 1984, three years after "Ghouls Night Out" was first released by the Misfits, as part of the 3 Hits from Hell EP. Speaking of Famous Monsters magazine, the Misfits iconic logo was created using the same lettering as Famous Monsters. Their now ubiquitous Crimson Ghost or "Fiend Skull" logo is also rooted in classic b-movie cinema, dating back to the black and white 1940s serial, The Crimson Ghost. This is by no means a www.mmdst.complete list of movies that inspired the devil-locked horror punks. Jerry Only and Bobby Steel have said "We Are 138" was inspired by George Lucas' THX 1138, 'though Danzig later contradicted them, saying in a 2000 interview, "They didn't write it and they don't know what [it's] about." If you've got better information on the Misfits movie crossovers, let us know in the www.mmdst.comments.